Koori student leaders from within our region met yesterday, highlighting the importance of celebrating culture. Our College was represented at the event by Year 11 student Tia Poharama, joining other Koori students from the region to discuss the programs offered in our schools which celebrate their culture and what could be done to further improve engagement and educational outcomes for our students. In the lead up to the event, some of the student group met to discuss the topics that they would like to cover on the day, aiming to make the most of this unique opportunity. “It was important for us to hold an event like this, as it enables us to gain a greater understanding of the needs of our students” said Education Area Executive Director of Ovens Murray, Bernie Boulton. “After this I hope to see some more programs to further support our Koori students” said Tia. In an afternoon session, principals from the region met to discuss the points identified by the student body. 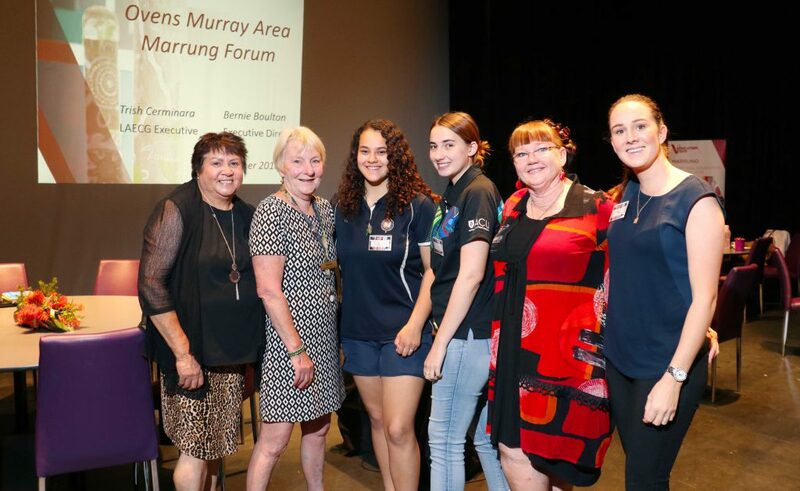 Opportunities like this years Marrung Forum are providing ways for our young people to have a meaningful impact within our community and enable them to have a voice in their education.